From time to time I’ve turned this blog over to a guest in order to introduce you to some of my favorite writers. 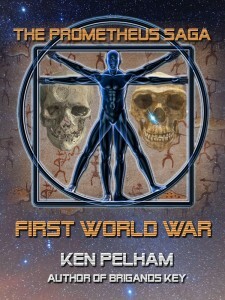 Today’s guest post is an interview with Ken Pelham, one of the award-winning authors you’ll find in “The Prometheus Saga,” an anthology of short stories examining a single premise from many different angles. Ken is not only one of the authors, but the co-creator of The Alvarium Experiment, our consortium of writers, and recruited me into the hive. 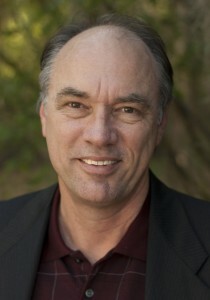 Ken is the author of the thriller Place of Fear and Brigands Key. During the interview, Ken explains how The Alvarium Experiment got started, and where it’s going. Please welcome Ken Pelham. 1. What inspired you to launch/join the Alvarium Experiment? For years, writers have been hearing, “Avoid the short story! There’s no money and no future in it! Write only novels, dammit!” But there’s been a sea change, caused by online publishing. Short is GOOD again. I’ve always loved short stories and have always wanted to be included in an anthology, so over the last year or two I’d been thinking about submitting work to an anthology somewhere. I’d been following some of the cool things authors like Hugh Howey were espousing, taking advantage of the amazing flexibility of the Internet as a publishing platform, and it occurred to me that, heck, I didn’t need to search out a multi-author anthology, I could build my own! I started scratching out some ideas about how it would work. I didn’t want to be “The Publisher,” responsible for everything and seeing that everyone gets paid. So I thought each author should self-publish, simultaneously, with a common premise and common brand. All for one and one for all. I’d met Charles A. Cornell a few years ago, and had recently read his dieselpunk war novel, Dragonfly, and the related horror short story, “Die Fabrik.” From the lengths he’d gone to build a fully-illustrated universe, even inventing entirely new retro aircraft and war machines, I knew he was a guy that thinks outside the box. Way outside the box. In fact, he’s quite mad. I pitched the idea to Charles and he pounced, and over the course of a couple of weeks, we’d laid the groundwork for both The Alvarium Experiment (the writers’ consortium) and The Prometheus Saga. The next task was to trick other writers into joining. 2. What are some of the benefits and challenges of writing “into” an existing framework for Prometheus as a character? How did that shape your creative process for your story? Is it different from your usual writing process? We wanted the Saga to be wide open, story-wise. So the challenge for Charles and I was to create a theme and character that essentially had no bounds, but made some sort of logical sense. The character has some limitations, of course. Superheroes are stupid and boring. I think, for many authors, we already work within existing frameworks we’ve built. Doyle, for the obvious example, built his world for and around Sherlock Holmes, and played by Holmesian rules. We encouraged the Alvarium authors to incorporate their own outside projects and characters into this. 3. Tell me more about your other work(s). I’ve built my own little universe of characters to populate my suspense fiction. They’ll continue to interact and piss each other off. Brigands Key, my first novel, zeroes in on the fictional Florida island of the same name, and the horrific events that come raining down on it. The prequel, Place of Fear, takes my BK protagonist, Dr. Carson Grant, and plunks him down in the middle of the Guatemalan rainforest. You can see why he’s developed a reputation for surliness. Both of these novels won first-place in the Royal Palm Literary Awards, I’m happy to say. Brigands Key, the island, kind of got under my skin. So after finishing the novel, I wrote three short stories, “Tales of Old Brigands Key,” set in the past. I have no doubt I’ll write about that island’s dubious and unsavory past again. I released a pair of short writers’ guidebooks in 2014, one on viewpoint and the other on building suspense. 4. Tell me more about your short story in The Prometheus Saga. Why did you pick that episode in history? Long answer: “First World War” involves our Prometheus very early in life, 40,000 years ago, give or take a few days. This gave me a chance to write about the human condition of today through the lens of our Ice Age ancestors. Human evolution is a complex story, and people today seemed surprised to learn that multiple species of hominids existed simultaneously on Earth at that time. I’m not talking about different races; I’m talking actual different species. And yet only one survives. I doubt that the ones that disappeared did so willingly. Short answer: I like prehistoric stuff, what with the cavemen and all. 5. What are your writing plans for 2015? What does the new year hold in store for you? Prometheus, obviously. Beyond that, I’ll continue work on my third novel (another Carson Grant thriller), and possibly release a nonfiction book about suspense fiction. The audiobook edition of Brigands Key will be out early in 2015, so I’m quite excited by that. Following Ken and Charles’ lead, 10 other authors have rallied around “The Prometheus Saga,” and all stories go on sale tomorrow, Monday, January 26 at Amazon.com. To learn more about the authors and their stories, visit the website. And be sure to drop by for the launch party starting at noon tomorrow and chat with the authors. You’ll find the party here. And if you’re so inclined, you can find “The Strange Case of Lord Byron’s Lover” right here. Many thanks to Ken Pelham. I hope you’ll drop by the launch party for a chat. I’ll give away a free download of my Matanzas Bay audiobook, so come on down.